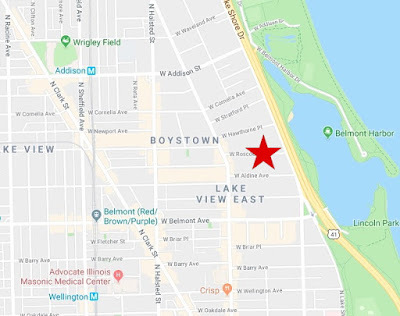 Armed robbers fired at least one gunshot during a robbery near Boystown in Lakeview East on Monday night, according to Chicago police and a witness who spoke with CWBChicago. No one was injured, and no one is in custody. The incident unfolded around 11:30 p.m. in the 500 block of West Roscoe. “I was outside walking the dog and heard the gunshot and the silver car speeding down the street,” the witness, a woman who lives nearby, said. Police said three offenders approached the victim on the street and fired at least one gunshot from a revolver. “I’m not sure if they were trying to carjack him since he was attempting to move his mom’s car up the street when they approached him and took his coat and iPhone,” she added. Police said the get-away vehicle is a light-colored Hyundai Elantra. Coincidentally, a light blue Hyundai Elantra was taken in a carjacking committed by three men in Uptown on Sunday morning. 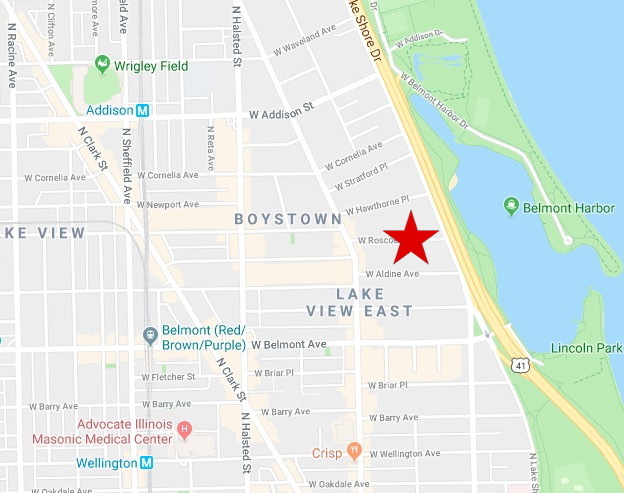 Less than two hours later, a casino shuttle bus passenger was robbed by armed men who attempted to carjack the vehicle near Irving Park Road and Pine Grove. The robbers in Monday’s incident on Roscoe were described as three black men in their early 20’s who stand about 5’8” tall. One wore a black mask and a red coat. Another wore a black coat. And the third, who fired the gun, wore a blue or black jacket. They were last seen heading west on Roscoe toward Broadway in the Elantra. CWBChicago is expecting to receive additional information about Tuesday’s incident from Chicago police. We will post an update when those details are obtained.